Ship from HongKong. One size fits most. 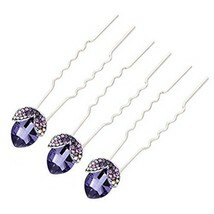 (7*1.3 cm) One set include 3 pieces. Outstanding quality, national wind and retro style. Glittering and flattering style, give a unique and fashion look for girls. Easy to clip your hair or bang with the clip. Gorgeous and exquisite made, nice decoration to highlight your hairstyle. 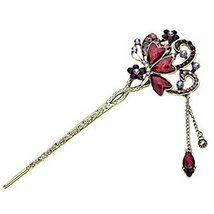 Wonderful gifts for girls and ladies, suitable for all kinds of hairstyle and dress.